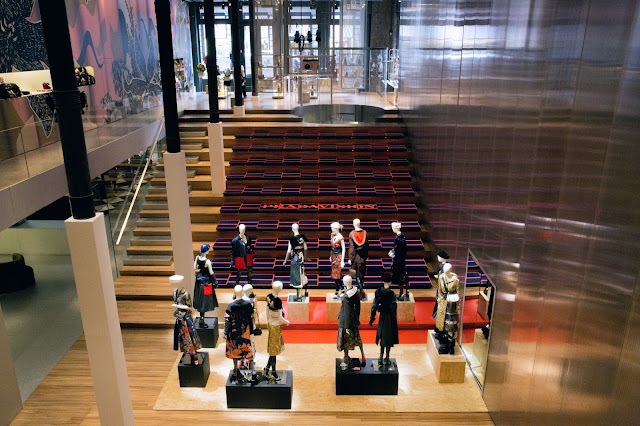 Prada presents PradaVision, a short term, site specific installation at the Prada Broadway Epicenter in New York City. 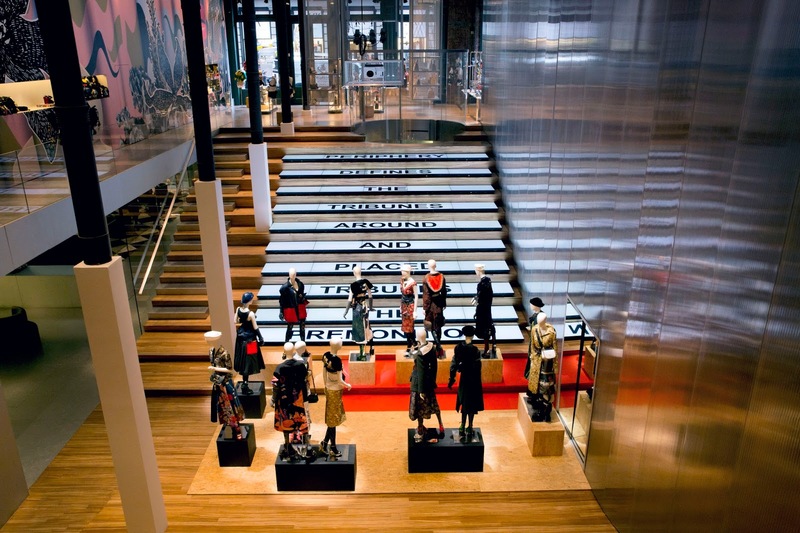 The installation includes 50 video monitors installed on the iconic zebra wood ‘bleachers’ in the center of the space, a special visual intervention on the North wall, and a display of several runway looks from the Prada FW16 women’s and men’s collections recently shown in Milan. 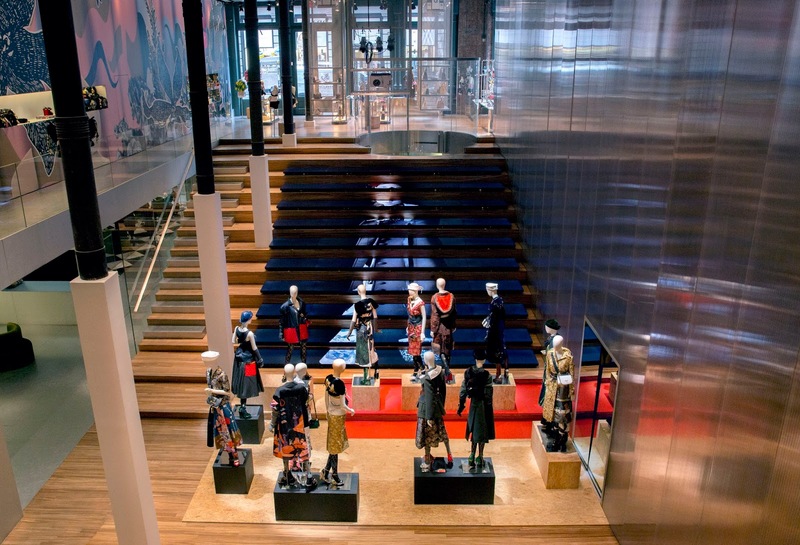 The monitors display dynamic video content drawn from the spectacular fashion shows, backstage footage, and other collection-related content representing multiple visions including Willy Vanderperre, AMO, and 2x4. 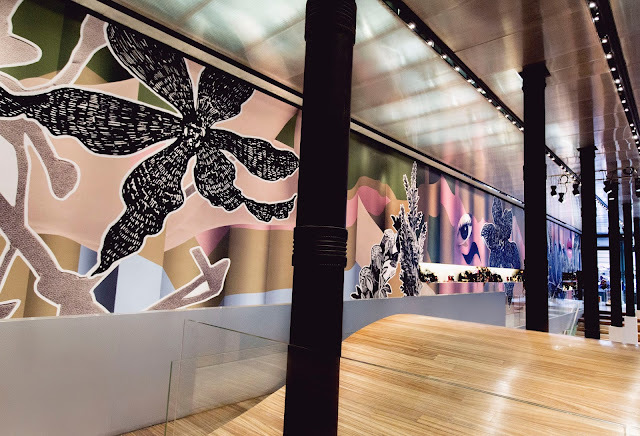 The existing Epicenter wallpaper features original images derived from the drawings exclusively created by Christophe Chemin for the Prada FW16 collections. 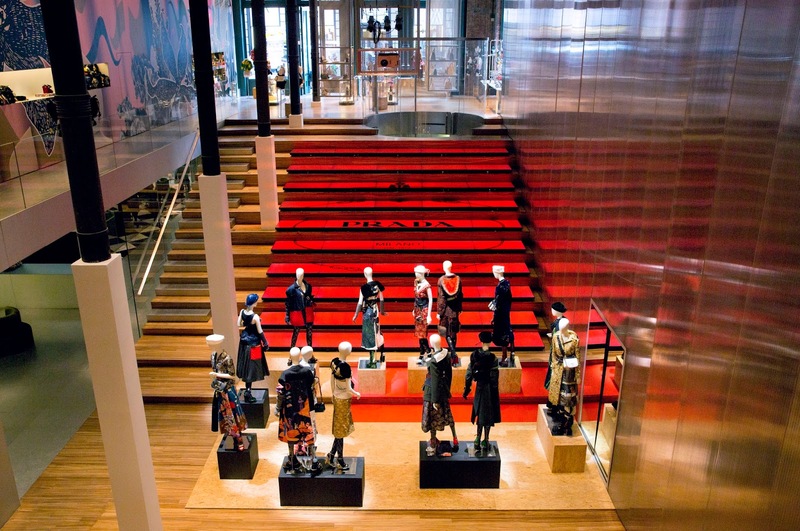 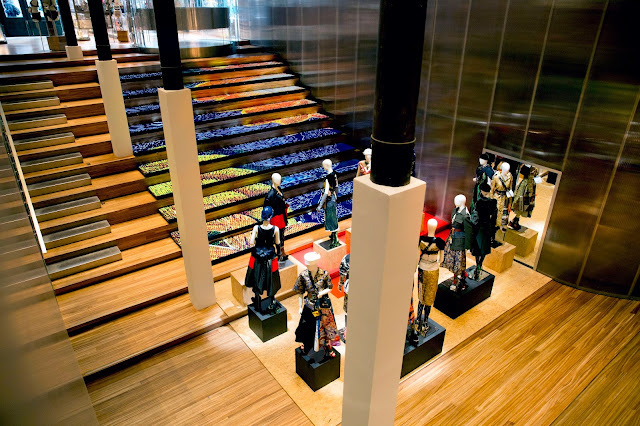 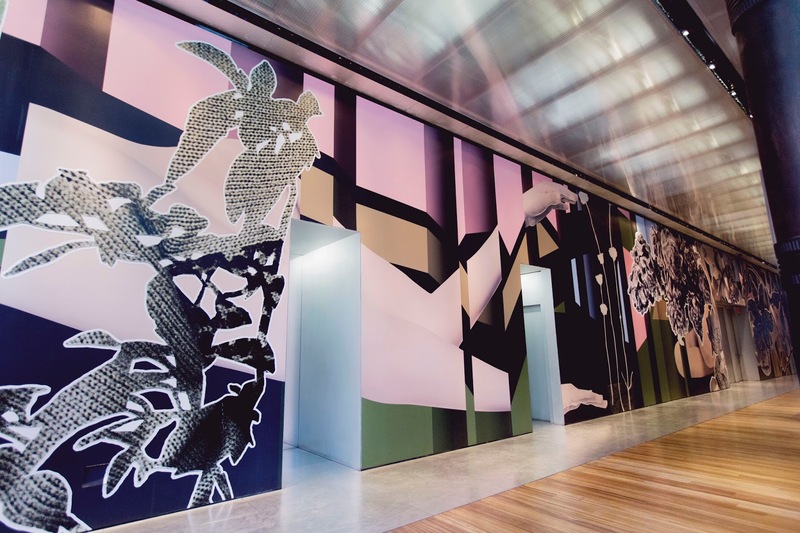 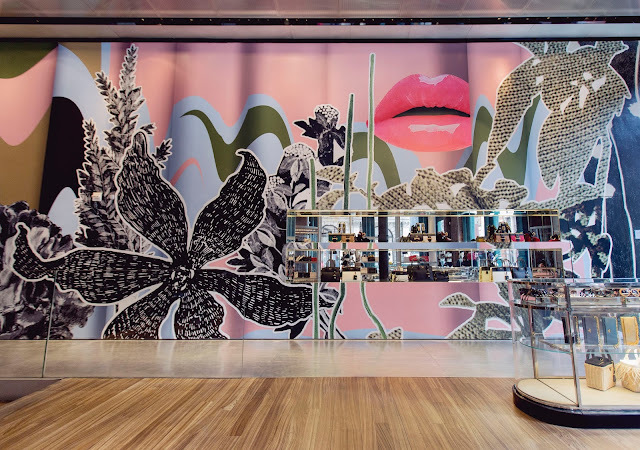 The PradaVision installation, wallpaper, and video content was designed by Prada in collaboration with 2x4 New York City. 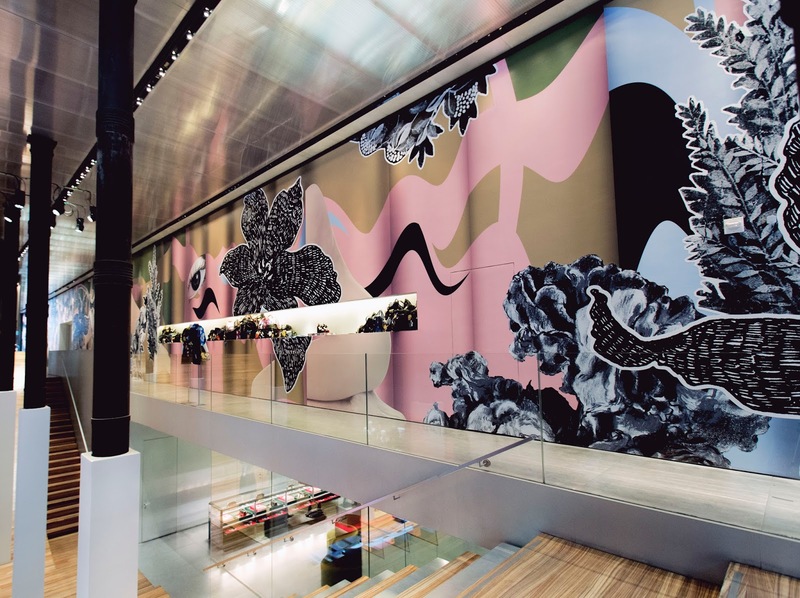 The installation will be open daily from 10am - 7pm through May 8, 2016.